Fall is fast approaching and when the air becomes chilly I always get a taste for pumpkin. 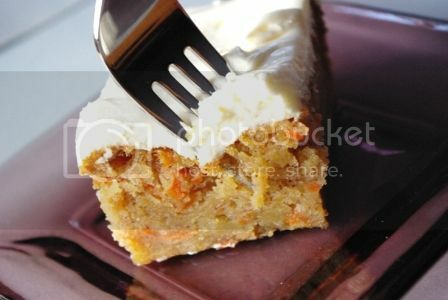 This cake is a new favorite of mine because rich pumpkin pie with a light vanilla cake. 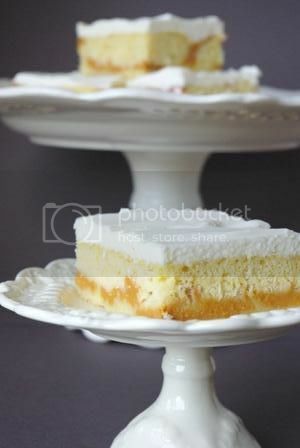 It is simple to make and can even be done using a box cake. Combine Flour, Powder and Salt in a medium mixing bowl. Using an electric hand mixer add one tablespoon of butter at a time, and mix until the mixture is coarse like sand. Then add sugar. Mix egg in one at a time, followed by the vanilla and milk. Do not overmix. At this stage, if you choose to use a box cake mix, follow box instructions for mixing. Pour cake into a greased 9×13 inch baking pan. Mix all ingredients until well blended. Pour over cake mixture. Bake Cake at 350 degrees for 20-25 minutes. Pumpkin mixture will sink and swirl itself in the cake. Bake until cake no longer jiggles in the middle. Allow cake to cool on the counter before icing. With electric hand mixture whip cream cheese until smooth. Add sugar, cream and vanilla and whip until stiff peaks form. Ice cake and refrigerate for service. This pie is a fond childhood food memory of mine. My Great Grandma from North Carolina used to make it. 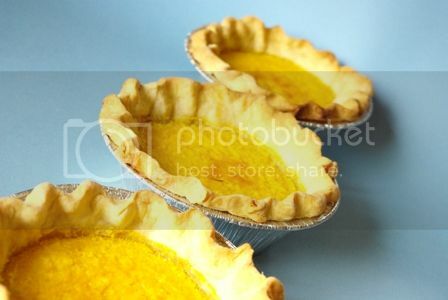 It is traditional southern chess pie, which means it is thickened with cornmeal. Combine first 8 ingredients in a medium sized mixing bowl. Stir to incorporate. Prepare a 9 inch pie pan with either store bought or homemade crust, rolled out and edged crimped in pan. 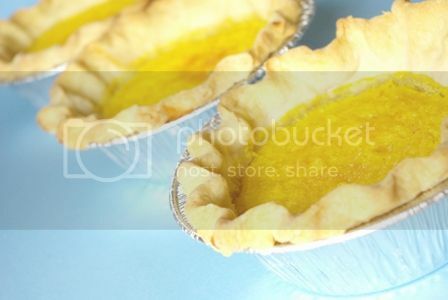 Pour Chess mixture into prepared pie pan. 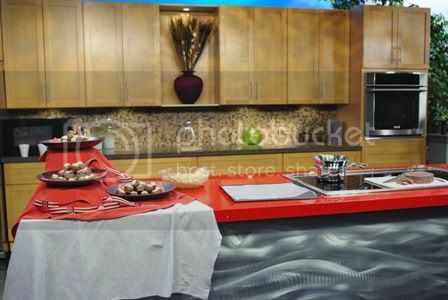 Bake at 325 for 35-45 minutes. 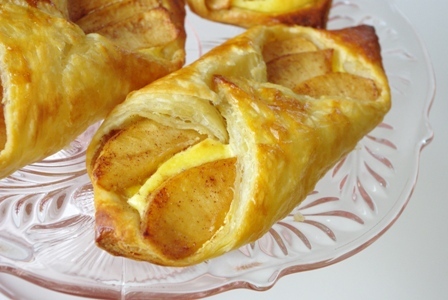 You may want to cover just the edges of the crust with foil halfway through baking to prevent over browning. Do so by cutting a circle out of the center of a square piece of foil, then lightly placing it onto the edge of the crust. The pie is finished baking when the center is lightly browned. It will set more as it cools. Serve at room temperature. Recently I was in the mood to bake and couldn’t decide between a carrot cake, apple sake or spice cake. One thing I knew is I wanted to use cream cheese icing. So I combined a few recipes and made a carrot apple cake. This cake is best served chilled. 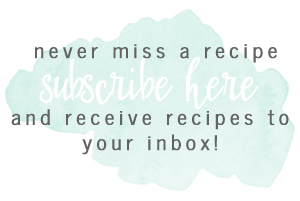 Combine wet ingredients with carrots and apples in a medium sized mixing bowl. Combine dry ingredients in a separate bowl. Stir wet ingredients into dry, only until just mixed. Pour into greased 9×13 inch cake pan. Bake at 350 for 30-40 minutes- or until set. Blend cream cheese with hand mixer until smooth. Beat in heavy cream, then powdered sugar and liquids. Beat until smooth. Ice cake once cooled, then refrigerate for service. 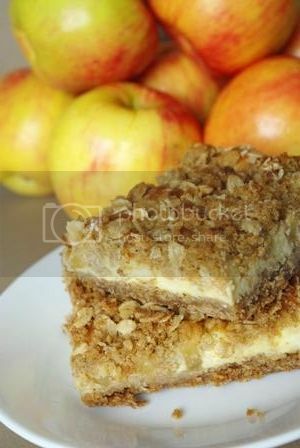 This recipe combines two of my favorite desserts, cheesecake and apple crisp. 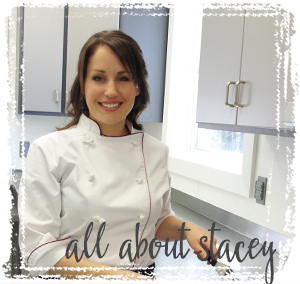 They can be served warm, chilled, with caramel sauce, with ice cream… so many options! Grease a 9×13 inch baking pan. Preheat oven to 350 degrees. Using an electric hand mixture, blend all crust ingredients until well mixed. Press mixture into greased pan. 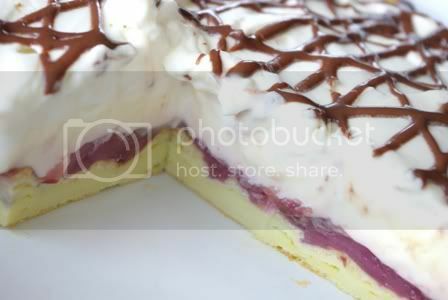 For the cheesecake filling, beat cream cheese until smooth, then add remaining ingredients. Pour filling over crust. Peel and dice apples. Cook in small sauté pan over low heat, with butter. Sauté until tender, then add sugar and cinnamon. Sprinkle apples evenly over cheesecake layer. For the crumb topping combine all ingredients and beat with electric mixture until crumbly. 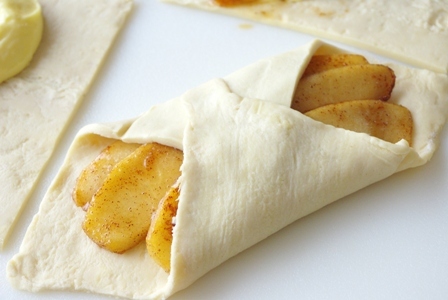 Sprinkle over apples. Bake at 350 degrees for 30-40 minutes, or until cheesecake filling is set, and no longer jiggles when moved. Allow to cool, slice and chill. This dessert is so simple, yet so good that it is a must try for anyone with a sweet tooth! Last week we had some folks over for dinner and my husband requested cream puffs for dessert. I was not in the mood to pipe out cute little puffs, so I did this version instead. I have seeen this dessert before with cream filling and chocolate, but thought a little fruit would make it better. When I made it I made a homemade cherry filling for the bottom. But, I think canned cherry filling would be just as good in a pinch. You could also use your favorite kind of fruit, or even jam. In a medium sized saucepan melt butter with the water. Remove from heat and let cook slightly. With a wooden spoon stir in one egg at a time. Once all combined spread batter onto the bottom of a greased 13×9 inch pan. Bake at 400 degrees until golden brown, about 20-25 minutes. 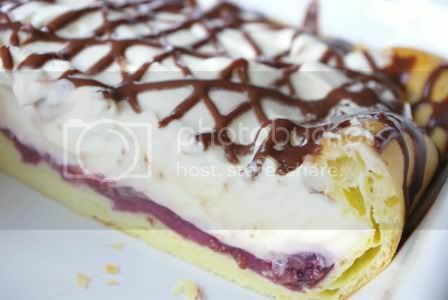 Spread canned cherries over the puff pastry shell. Then, in a large mixing bowl, beat cream cheese with vanilla pudding powder and milk until smooth. Pour over cherry layer. Whip cream until soft peaks form then add powdered sugar and continue to whip until stiff peaks form. Spread over pudding layer. In a small saucepan over low heat bring cream to a simmer then stir in chocolate chips to melt. 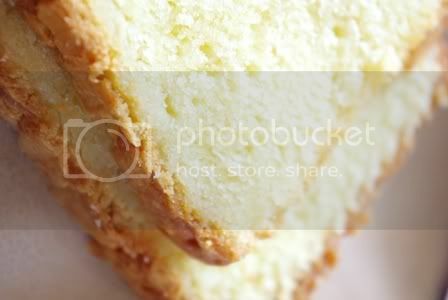 Let cool slightly then drizzle over the top of the cream puff dessert. Chill completed dessert for a few hours then serve. This dessert is good for up a 3 or 4 days. 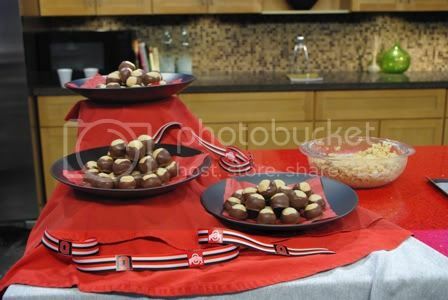 In honor of the Ohio State Buckeyes playing in the bowl games let’s make some Buckeye Candies! How many other sports teams do you know of with their own custom candies? Combine peanut butter, butter, vanilla and powdered sugar in a large mixing bowl. Mix with a hand mixer until mixture is crumbly, but moist. Form in 1 inch ball shapes and place on a wax paper lined pan. Freeze for ½ an hour before dipping. Melt chocolate (shavings or chips) over a double boiler. Dip peanut butter into chocolate with a toothpick. Cover only ¾ of the ball. When buckeyes reach room temperature pat down the tops with your finger to hide the toothpick hole. 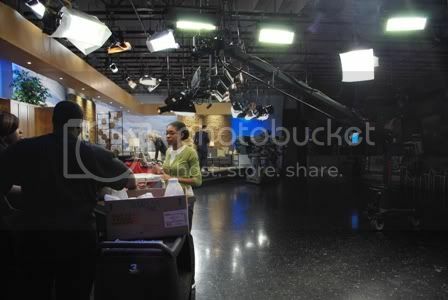 Here are some behind the scenes photos of the NBC3 Good Company Set in Cleveland, Ohio. I demonstrated these Buckeyes for all the OSU fans to try. 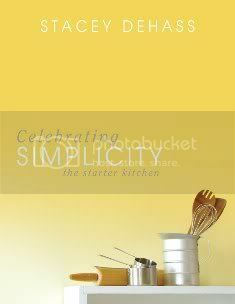 Please be sure to check out Barnes and Noble.com to get a copy of my how to cookbook Celebrating Simplicity! 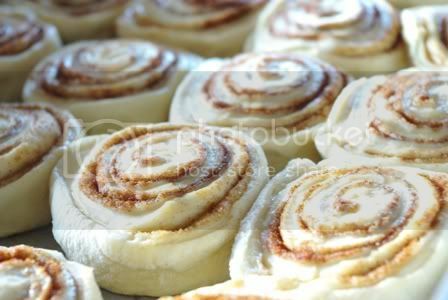 Warm up your Christmas morning with a fresh batch of homemade cinnamon rolls. 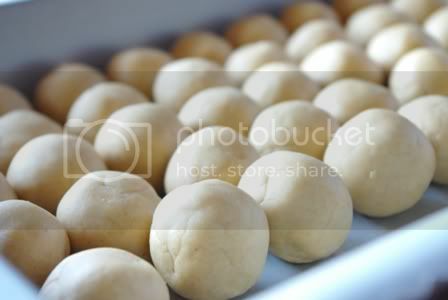 For dough- Combine first cup of hot water with sugar, salt and butter in a large bowl. Allow sugar and salt to dissolve, and butter to melt. In separate small bowl combine yeast, remaining cool water and egg. Stir mixture into large bowl. With a whisk mix in cake mix. Then whisk in one cup of flour at a time until mixture is very thick. 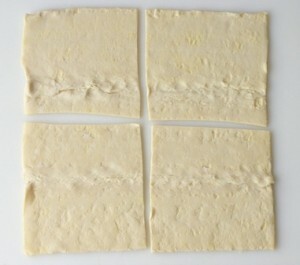 Turn dough onto floured surface and knead until smooth- adding flour as needed when dough gets sticky. Let dough rise until double. 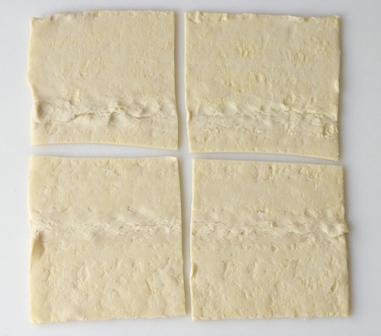 Roll dough out on floured surface into a one inch thick rectangle. Smear dough with butter, then sprinkle with brown sugar and cinnamon. Roll tightly. 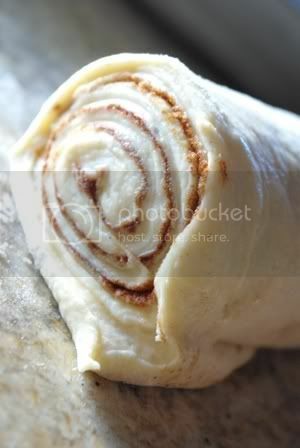 Cut into 1 ½ inch thick rolls and place in greased pan. Let rise until doubled in size then bake at 350 for 20 minutes or until rolls are golden brown on top. While the rolls are baking mix the icing. Bring butter and brown sugar to a boil. Remove from heat and use a hand mixer to whip in powdered sugar. Finish with cream. Ice rolls when they are warm. 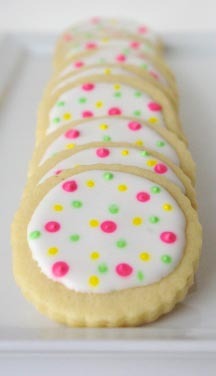 With a hand or stand mixer cream together butter, sugar and eggs- adding sugar gradually alternating with 1 egg at a time. Next, mix in flavorings. 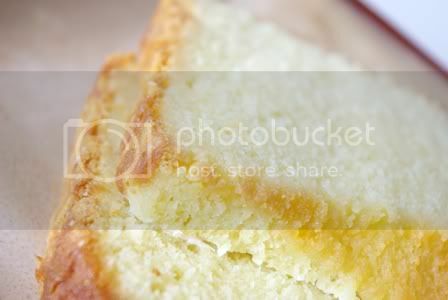 Beat in flour and milk then beat on high for five minutes- this will create the dense texture that pound cake is known for. Pour batter into large Bundt pan that has been greased and dusted with flour. DO NOT PREHEAT OVEN. Put cake in oven then turn onto 300 degrees. 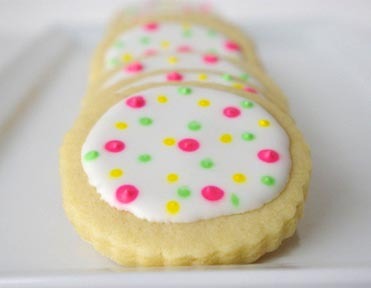 Bake for 1 ½ hours. Check around 1 hour 20 minutes. 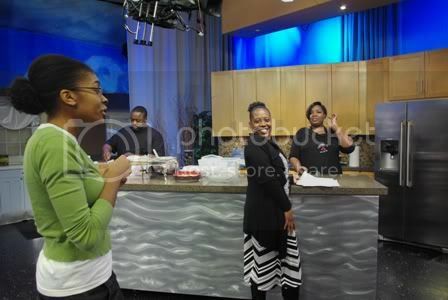 My cake was done at that time, but my oven runs hot. To test for doneness insert a toothpick deeply into the cake. It should come out with some moist crumbs- not look too wet batter. If the pick comes out clean there is a chance the cake will be dry. 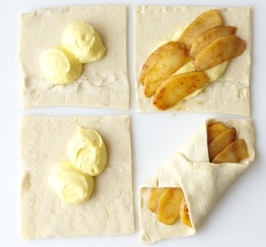 Serve plain or with fruit and whipped cream.